Vinyasa Flow is a one hour class. This is a Non-Heated Vinyasa Flow class. Poses are connected together to make a sequence and synchronized with the breath. The breath acts as an anchor while moving from one pose to the next. All levels of practice welcome! You will experience a combination of both Hatha and Vinyasa style yoga practices within this 1 hour class. It is a class designed for stretching, slow movement, mindfulness and includes a guided meditation within Savasana pose at the end of practice. This is a great class for beginners, for anyone needing to relieve stress or simply to unwind and relax from a busy week. This one hour class is held in a room heated to 85-95 degrees. Heated Flow will fire up your core strength as you flow through demanding yoga sequences. You will build heat from within by connecting breath & movement at a moderate but intuitive pace. 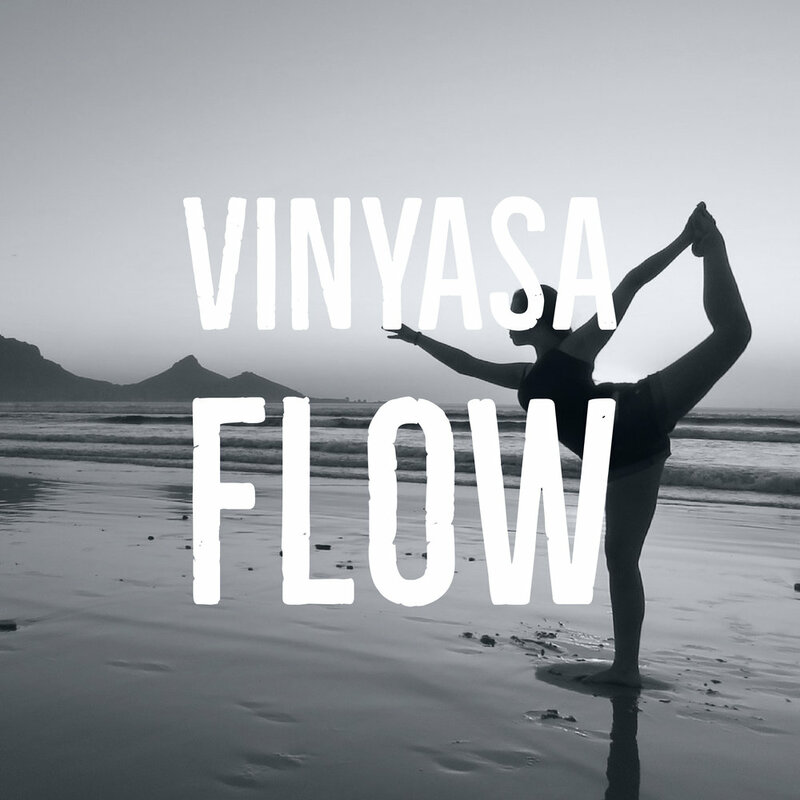 Strength, flexibility and balance is achieved through vinyasa flow movement. This 45 minute class begins with a discussion of our breath and a weekly practice of directing our breath to support our well-being. Transitioning to meditation, we will discuss and practice various postures, styles, and techniques of meditation. This class is open to all who are looking to calm the mind and deepen their experience with the mind/body connection and manifest peace. 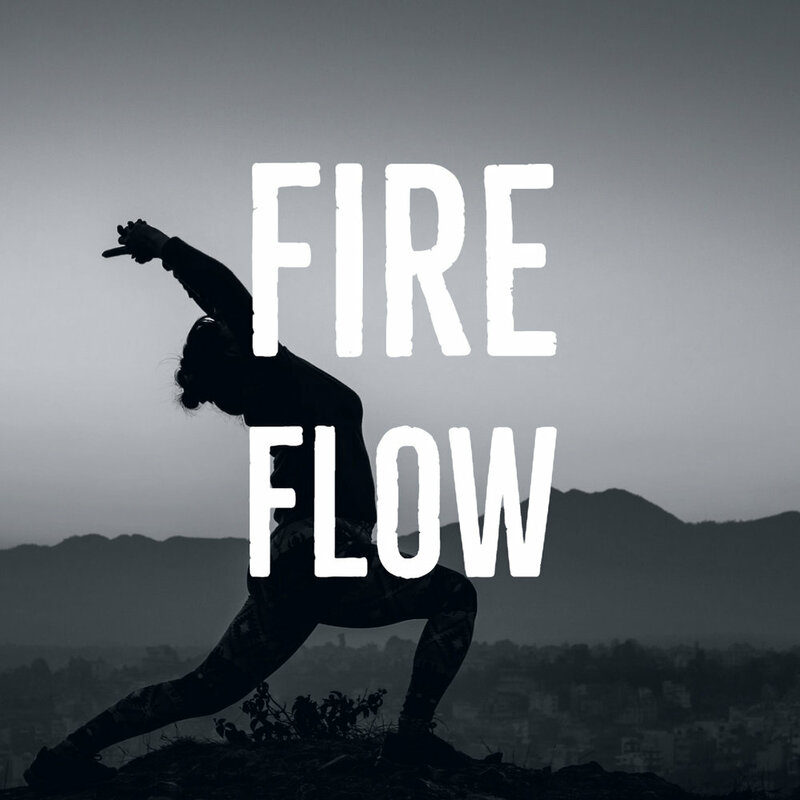 Fire Flow is a 1 hour Hot Yoga class where the room is heated to 95+ degrees and led by Hannah Thompson. One will experience a sequence that invites you to jump start your day with an energizing/grounding Hot Vinyasa Flow! We’ll focus on building strength in ways that also allow us to gain flexibility in the physical and mental bodies. We encourage you to come hydrated and bring water to class. In Savasana we’ll offer a cool lavender towel for some refreshing aroma therapy. This one hour energizing class connects the breath with the movement, using a framework of cues and modifications. The class moves steadily through a dynamic series of sequences and poses that flow seamlessly. Breath work and meditation complete the practice. Flow into your weekend with a quiet mind, a strong body, and a nurtured spirit! Hot Yoga is a one hour class with an athletic style of vinyasa (flow) yoga practiced in a room heated to 85-95 degrees. Static postures are linked together through flowing transitions and mindful movement. This class is designed to build strength, balance, flexibility and muscular endurance. This is a one hour class of a “mindful” vinyasa flow, with cues on alignment and connection to the breath. Good for students of all levels who are wanting to deepen their breath work and meditative practice, while building on the foundations of yoga. We will move with intention, strengthen the body, and quiet the mind. This class is packed with cardio, strength, toning & stress relief! Work towards improving flexibility, coordination & balance all while strengthening your core. Come punch & kick your way to fit! One hour non-heated class. This is a challenging flowing class designed to increase strength & flexibility. We use our body weight, along with hand weights, to improve core strength and increase over all strength & muscle tone. Additional benefits include improved coordination & balance, boosted flexibility & range of motion. Some yoga experience is recommended but not required. This 45 minute non heated class offers a closer look at arm balances and inversions. Our goal is to explore different ways to view our practice and to get our heart above our head with inversions. As well as build strength and confidence with arm balance postures. We’ll warm up the body with core exercises and stretching before we dive into our peak pose. There will be space for open discussion as we experience challenges and triumphs together. Modifications will be provided for all levels and you will receive encouragement and support as you learn new things and work towards a deeper yoga practice.